Nelson Lichtenstein is America’s foremost Wal-Mart expert from the left. Nelson Lichtenstein has chronicled the rise of the world’s largest company—focusing on the company's anti-unionism. Lichtenstein's latest book, The Retail Revolution: How Wal-Mart Created a Brave New World of Business, may be the definitive account of how the discount retailer grew from Arkansas to blaze a new commercial model in a globalized economy. The University of California, Santa Barbara professor founded and serves as the director of the university’s Center for the Study of Work, Labor and Democracy, which aims to “expand public understanding and discussion of important issues facing working people.” The center hosts conferences and courses and administers an undergraduate minor in Labor Studies. Lichtenstein— is also author of State of the Union: A Century of American Labor and editor of Wal-Mart: The Face of Twenty-First-Century Capitalism. 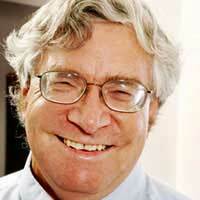 Lichtenstein is on the e-mail list of John Logan, the new director of the San Francisco State Labor Studies Center. Logan studies the anti-union consulting industry. Nelson Lichtenstein is the author o/The Most Dangerous Man in Detroit:Walter Reuther and the Fate of American Labor. In 1996 Nelson Lichtenstein, University of Virginia was one of the original 130 founders of Campaign for America's Future. The Center for Democratic Values (CDV) was launchedat the 1995 Democratic Socialists of America National Convention as a means of contesting the current hegemony of capitalist ideas. 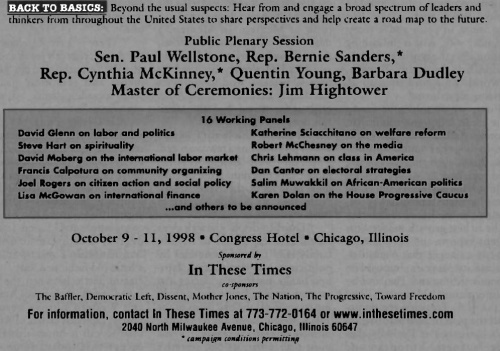 By 1997 CDV network members Ron Aronson, Nelson Lichtenstein, Harry Brod, Maxine Phillips, Rick Perlstein, Anna Marie Smith and Skip Oliver were all publishing op-ed pieces for the Progressive Media Network and local newspapers. Topics include arts funding in schools, the Teamsters election, the meaning of Clinton's reelection for women, and the use of polls in elections. I witnessed from afar, and as a young teenager, the rise of the Student Non-Violent Coordinating Committee. Courage and commitment in action, what could do more to inspire a young person? And second, my ideas were sharpened when I participated in UC-Berkeley’s political world in the late 1960s. Lichtenstein is an anti-capitalist with a soft spot for Leon Trotsky and his leading U.S. follower Max Schactman. I’m an academic with a political agenda: to help lead a generation of social and labor historians toward a radical critique of capitalism and the corporation, now and in the past. The Wal-Mart, Race & Gender: Local Controversies, Global Process symposium was held on January 21st 2006 at the University of Chicago. It was an opportunity to put the many-faceted struggle against Wal-Mart—and the nature of the corporation itself—into context. Organized by the university’s Center for the Study of Race, Politics and Culture and the Center for Gender Studies, the "symposium drew about 250 people into a mostly sober discussion of the Wal-Mart menace, and the particularities of how it impacts the various groups it seeks to crush or coopt— the kind of conversation that is sorely needed by all who claim to be “movement” people." Young Sam built his first stores in what he considered the “magic circle” centered in Arkansas, Oklahoma and Missouri, according to University of California at Santa Barbara professor Nelson Lichtenstein. Walton exploited the pools of “surplus labor” that resulted from corporate agricultural consolidation and the ravages of the Thirties dustbowl. Desperate to keep their land, surviving small farmers—and their wives—turned to wage labor. On May 1 2008, Nelson Lichtenstein, a Professor of History at University of California, Santa Barbara signed an open letter to SEIU president Andy Stern in protest at SEIU move to force its local United Healthcare Workers into trusteeship. As of 2009 Nelson Lichtenstein served as a sponsor of New Politics, magazine almost completely staffed and run by members of Democratic Socialists of America. Lichtenstein is listed as an endorser of the Campaign for Peace and Democracy, as of March 15, 2010. The Cry Wolf Project was established in 2010 to counter conservative attempts to stop or discredit "progressive" policy options. This page was last modified on 6 March 2013, at 09:27.